Part of what makes interior design so amazing (and fun) is the fact that it’s not limited to only one style. Numerous options are available, each with its own look, personality, materials, preferred colour palettes, etc. And today we’d like to focus on one which originated in northern Europe and expanded right across the globe: the Scandinavian style. Also called the Nordic design, the Scandinavian interior style is characterised by various features which set it apart from other styles. These include light and muted colours, lots of (light) wooden surfaces, clean lines, de-cluttered spaces, and simple accents. 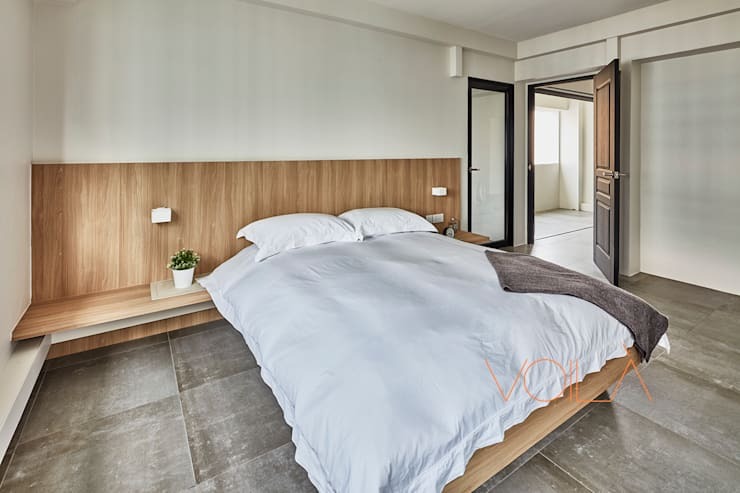 One professional design firm in Singapore that clearly understands the beauty of the Scandinavian style is VOILÀ Design, as it’s executed perfectly in a lot of the firm’s projects. For the seasoned experts at VOILÀ Design it’s not only about what the client wants – it’s also about who they are, how they want to be perceived by others, what their lifestyle is like… every single detail is taken into account to ensure maximum results. 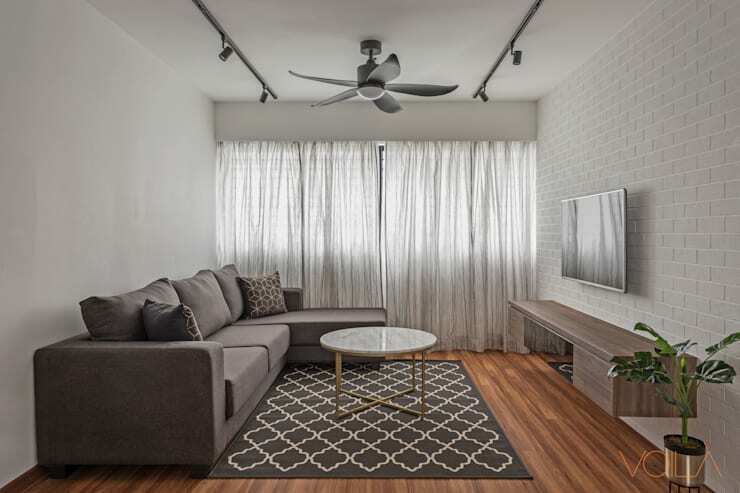 Operating throughout Singapore, the ever-expanding portfolio of VOILÀ Design showcases a variety of services which include interior design consultations, space planning, and renovations – both in the residential and commercial industries. Just because your dining space will be subjected to an abundance of guests, numerous culinary creations and a variety of conversation topics does not mean it has to have an overly adorned design. Another great advantage of the Scandinavian style is how it adds to the visual spaciousness of a room – the perfect option for smaller rooms who want to seem bigger. Such as this dream bedroom, which was kept minimal by including almost no décor and a very muted colour scheme. The generous amounts of natural light flooding indoors is also a crucial element of the Scandinavian style. The Scandinavian style strikes again, this time turning a living room (one of the main social spaces in any home) into a clean and airy space. Subtle and neat, the design is still very much comfortable and inviting. Our favourite piece here? Most definitely that floor rug in a soft mocha brown sporting a simple Moroccan pattern – the ideal piece to anchor the seating area while also introducing a touch of detail. Remember how we proclaimed that lots of wood is used in the Scandinavian style? 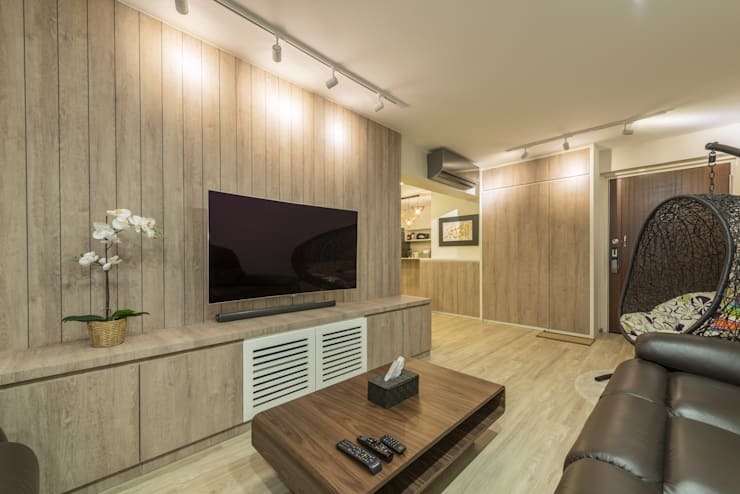 That fact is clearly evidenced by this second living room on our discovery list, where wooden surfaces style up not only the floors, but also the credenza, coffee table and walls. Take note of the simple potted plant next to the television – another important factor (subtle greenery) that is also common of Nordic designs. Last but certainly not least, the heart of the home. 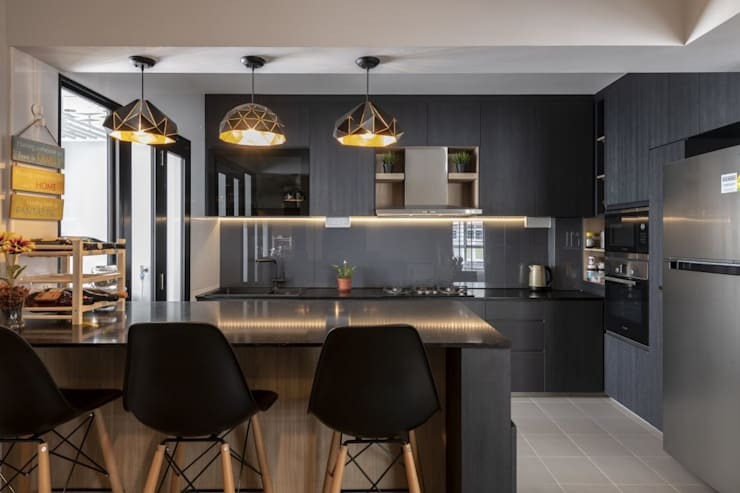 Although this time, the Scandinavian style joins forces with a touch of modern splendour and alters its colour palette to become darker – quite the unique take on a design that is known for being light and airy. 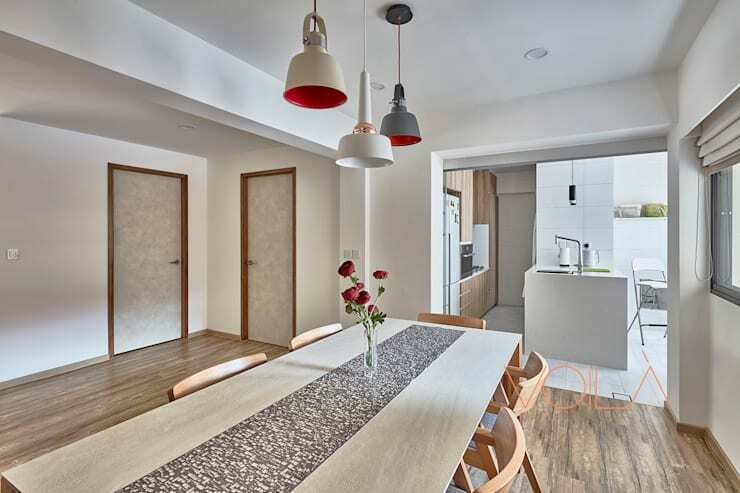 Notice how the broody kitchen cabinetry contrasts from the light-coloured flooring and ceiling. And one simply can't overlook those pendants with their strong geometric lines dangling above the breakfast bar. Speaking of interior magnificence, let’s indulge in 18 staircases with a stone and water garden—spectacular!